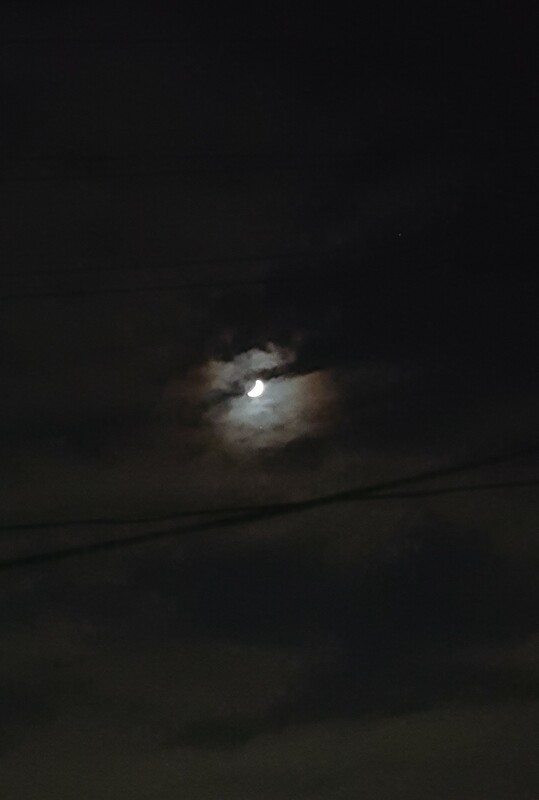 It was 端午の節句 or lunar May 5th yesterday. Covered with rainy clouds of this season, we have missed beautiful crescents since the 2nd of the same. Mei-Shun gave it up in half, yet felt lucky for seeing her float among dark shadow. Please find following a photo taken by her who made such a challenge despite being awful at it. She wishes it could help a piece of smile for Osaka people.